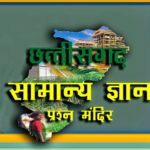 Chhattisgarh General Knowledge Quiz of all first Chhattisgarh Old Temple name, chhattisgarh mahatma gandhi visit question gk hindi quiz with visit dates, Chhattisgarh State Founder, first Chhattisgarh Railway Services and Other Chhatisgarh history gk questions and answers quiz & cgstate related gk also. 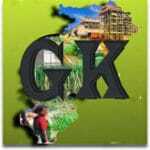 Que (01): “Chhattisgarh First Newspaper“, which was published by the district? Que (02): What was the “Old name of Sirpur” in this state. ? Que (03): In which year was the “Harijan” visit of Gandhi in Chhattisgarh ? Que (04): Which “Magazine” was issued by “Pandit Ravishankar Shukla” in Chhattisgarh ? Que (05): Who is “First Founder/Creator” of Chhattisgarh State ? Que (06): First time demand of “New Chhattisgarh State” in state assembly..? Que (07): Which is the “Oldest Buddha Place” in Chhattisgarh ? Que (08): When the first “Railway Service” started in Chhattisgarh ? Que (09): “Mahatma Gandhi” first time visited in Chhattisgarh ? Que (10): In which century was “Chinese Traveller Wensang” Travelled of Chhattisgarh?